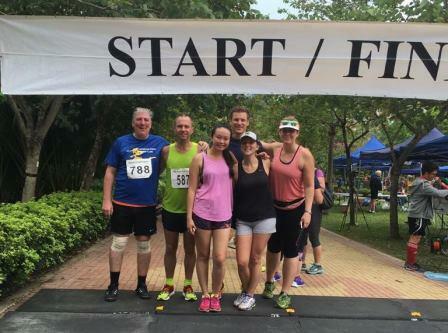 We are very pleased to announce that we were one of the headline sponsors of this year’s DB Run for Charity 10km held on Saturday 12 November raising money for The Hub HK. A record HK$192,833 was raised on the day! We also had the biggest turnout ever with six Tanner De Witt team members racing. Huge congratulations to Partner of our Corporate and Commercial Practice Tim Drew who came 16th of 527 runners overall with a blistering time of 40 minutes 12 seconds. Special mention also to Jan Willem Möller who came in 36th place (42 minutes 51 seconds) and Kellie Simpson of our marketing team who came 91st of 232 females (58 minutes 17 seconds). Full results can be found here. • to laugh, sing and roll around on the floor – as all kids should! Learn more at their website: www.thehubhk.org.